Re-entry after 8 days away can be tricky. I am grateful to have had enough experiences with reentry to be prepared for the feelings and anticipate what I will need in response. Even with that experience and knowledge, there can still be mess. I was still feeling the weight of everything that happened in New York last week: the pain experienced by my brother-in-law, my sister, their children, and his parents and siblings due to the sudden death of his sister. The visit to my mom and dad's resting place, saying good-bye to another of our regular NY haunts as my daughter vacated her apartment and then spending time with family, some of whom were in the middle of their own family crisis. This all added to all the stress of the week. The travel each day, maintaining my business while traveling, dealing with my husband's quirks in the face of all that was happening. Stress, stress, stress. This topped out with attending a banquet on Easter Sunday that was a four and one half hour feast of buffet eating. Mind you, I DID NOT feast for four hours, I was merely in the party of guests who attended the four hour affair. My food choices were rational and reasonable and I kept the view of the extensive buffet to my side and the dessert buffet at my back. I did not have to keep looking at the displays. Food on the plates of other people was not a trigger. I am lucky that I truly enjoyed the company at our table for the four hours. But I must admit, I was relieved when we could finally leave the banquet facility. On Sunday I neglected to drink enough water. The next day, as we drove on the Taconic Parkway, a roadway that always has me on edge, I found myself gripping the steering wheel and not barely breathing as a navigated the rental through the narrow turns. The sigh of relief when we reached the next roadway was felt by everyone in the car. Arriving at the airport I looked at the snack bar more than once. I am so lucky I had my fruit and protein bar already in my purse. I did not buy anything there. We landed back in Florida at 5:30pm on Monday. I knew I was too exhausted from the events of the weekend to food shop rationally so I declined to shop that evening. I knew we would need to have dinner. We stopped for Japanese/Chinese take out on the way home. I wanted sushi and got a tuna roll and a mango and salmon roll. Next time I will not get sushi the first night home. I should have considered how the sodium would aggravate the puffiness I feel after airline travel. It also gave me a headache. I feel asleep a little early and woke up a little late. On Monday I also neglected to drink enough water. In fact, I drank 2 diet Frescas. Tuesday morning I rolled out of bed and got ready for an early event I had in Magic Kingdom. I didn't stop to do my daily reading, writing or meditation. I just woke, showered, dressed, ate a breakfast I threw together (fruit, whey protein bar) and left. Went food shopping on my way home at 1:30 in the afternoon. I was a little hungry because I had not eaten lunch yet and I bought cream cheese made with Greek yogurt and jam made with boysenberries and artificial sweetener (and unpronounceable crap ingredients). 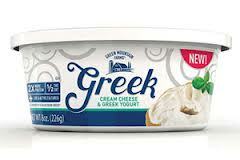 I also bought a 2% Greek yogurt to use for my smoothly. Then I drank another Fresca. These were not the best choices since I normally have 0% and fresh fruit, not bottled gelatinous kaka. And the diet soda should not even be near my mouth. I immediately regretted eating the cream cheese and sugar free fruit spread. Between that and whey protein powder and the yogurt it gave me gas and I was still feeling sluggish and bloated at dinner and couldn't eat. Instead, I took a nap and woke at 7:00pm and really thought about my choices. Yes, it had been a stressful week. Yes, some of that stress lingers on and comes home with you. No, I did not have to make food choices that were helter-skelter. I could choose to eat whole foods, follow my normal daily activities and return to my normal. I do have that blessing available to me. I have a choice. Wednesday I woke up and did everything I normally do at home. I prayed, wrote, read, meditated, exercised, ate a healthy balanced breakfast, packed my snack and left for work. I had a simple lunch at home and planned a healthy and filling dinner, which my husband prepared and when I came home there was a hot dinner waiting for me. Today, our nephew's 13 year old English Springer Spaniel had to be put down. I had a major event to produce at work, some mini dramas in the workplace and several errands to run. There is still lots of stress but I am not using it as an excuse to stay messy. Messy is just a step away from saying yes to the wrong food and eating behaviors. I cannot let stress bring that mess into my life today. How do you keep stress from making a mess of your day? Water is also a huge problem for me when I travel. Re-entry is a very good term for it. I call lots of things THE AFTERS. And yes, can be harder than the during. I too pick my positioning carefully in many places. Sometimes to avoid food views. 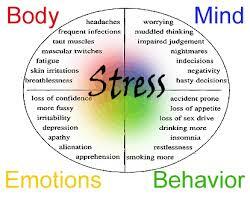 More often to reduce stress/anxiety (lightening, flashing lights, sound volume, perfume, smoke residue on clothing). It's like stress makes me want to eat too much, like pregnant. I try to manage stress with proper breathing, help me feel more relaxed. I have never posted before, but wanted to tell you that I have found your blog and journey so inspiring. I have long struggled with "the squirrels" that you have spoken of here in the past, and I completely relate to this post about holding on during the stressful periods but having to maintain extra awareness in the post-stress periods (I like the "afters" that the commenter above calls them). I am 65lbs down, at a normal weight for the first time in my adult life, and living clean, food sober, well-hydrated, and planning my meals of real food with much joy most days. And a key part of planning is checking in on blogs like yours. I know you write the blog for yourself, but thank you for all do you do Jane for those of us who read it. Great post. It feels so good after when we make the right choices, but sometimes having to go through it (like relooking at the snack bar, the ordeal of making the choices for your smoothee and then realizing the mistake) are a pain. My take a way was that you just shrugged it off and moved on, where I would dwell on my mistake a little. Good lesson for me. As Vickie mentioned: the AFTERS can be harder than the DURING. More will follow in the post this week.